MVP Sports ~ Sole Canadian Distributor for Taylor Bowls (Scotland) ~ since 1985 has also been a long time Canadian Distributor of the Verdemat line of portable carpets for Dales Sports Surfaces of England. 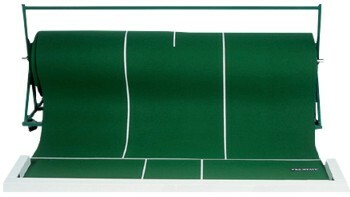 We stock both the 30' carpets for the Carpet Bowls game and 45' carpets for the Short Mat game. Should we not have the specific carpet available from our stock we will be pleased to quote you on both price and expected time of delivery of your carpets. We also have a very good supply of Carpet Bowls in stock. We no longer stock the "old" brown/black combinations of Carpet Bowls as these were very difficult to tell apart from each other. Instead we stock either Black/Yellow or Brown/Yellow combinations depending on availability from our bowls supplier, Taylor Bowls of Scotland. 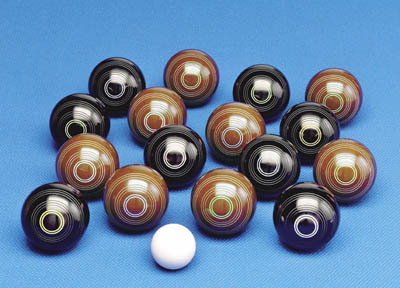 For those of you who already have a brown/black combination of bowls we also stock complete sets of yellow only and once added to your collection will provide you with the experience your bowlers deserve! For the Short Mat game we recommend the Legacy as it has a generous draw conducive to play on the 45' carpet. Accessories may be added to your order after discussion with us regarding your specific needs. We will be glad to offer you a quotation upon request.